Movement: Calibre BR-CAL.316. Self-winding mechanical movement. Functions: hours (counter at 6 o'clock), minutes (central hand) and seconds (counter at 12 o'clock). Bi-directional bezel with large notches. Case: 49 mm in diameter. Microblasted steel case with grey PVD finish. 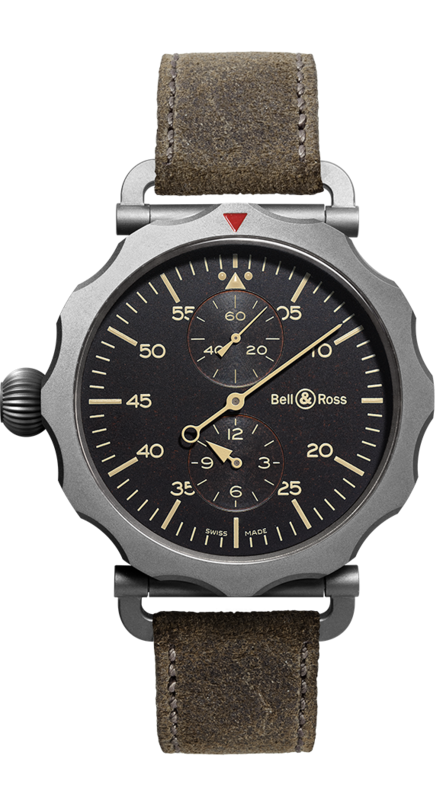 Dial: Vintage brown. Numerals, indexes and hands coated with sand-coloured photoluminescent material. Buckle: microblasted steel with grey PVD finish.